The development and acquisition of drones has become crucial to the ever-expanding arms race between China and Japan, as tensions over disputed islands in the East China Sea could soon reach boiling point. Weaknesses in Japan’s surveillance capability and the ongoing territorial dispute over the Senkaku islands, known as the Diaoyu in China, have spurred Tokyo to purchase an advanced drone model from the US. Japan’s vulnerability was highlighted late last year when Japanese radar failed to detect a low-flying Chinese aircraft passing over the group of disputed islands. The drones will seemingly be deployed “to counter China's growing assertiveness at sea, especially when it comes to the Senkaku islands,” the Kyodo news agency quoted an unnamed defense ministry official as saying. Japanese concerns that the islands will be used by China as a prelude to testing regional power balances, prompted Japan’s Defense Ministry to request $2.4 billion dollars from hawkish Prime Minister Shinzo Abe, whose conservative government swept to power on December 26. The funds will be used for extra PAC-3 missile interceptors and upgrades for F-15 fighter planes, Bloomberg cites a document distributed by the ministry as saying. Japan has further decided to increase overall defense spending to some $54.3 billion, the first defense hike in a decade. Abe further promised on the campaign trail to bulk up the country’s army and coast guard. James Corbett, editor of the Japanese-based Corbett Report news website, told RT the latest conflict had yet to filter down to the citizen level in Japan like it had in China, where nationalistic sentiment is on the rise. 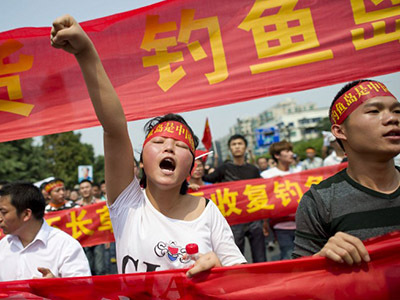 With the Senkaku/Diaoyu Islands serving as the focal point for the current standoff, Corbett says Sino-Japanese military conflict will likely become the new norm. 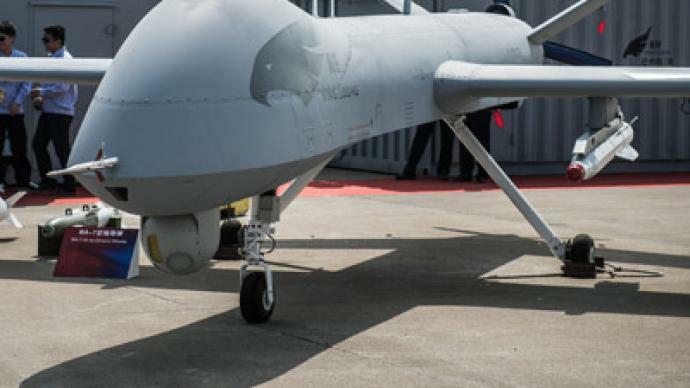 In October Chinese state media said 11 drone bases would be built along China's coastline, and “at least one drone will be stationed at each base,” the Guardian cites China Radio International as reporting. China rolled out eight new models in November at an annual air show in the southern coastal city of Zhuhai, photographs of which were featured prominently in the state-owned media. In December it was further announced that the People's Liberation Army were readying to test-fly a domestically developed drone, which analysts said is likely a clone of the US's carrier-based X-47B. Sino-Japanese relations took a drastic turn for the worse after the Japanese government purchased the disputed islands from a private Japanese owner last September. 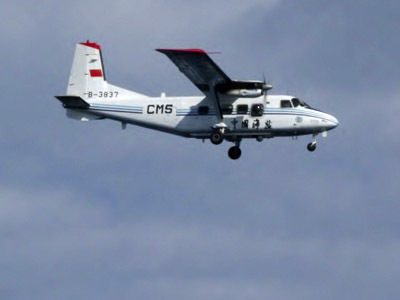 Tensions have continued to rise, as an increasingly frequent cat and mouse came between Chinese surveillance planes and Japanese F015 fighters risks descending into a potentially deadly game of brinkmanship. 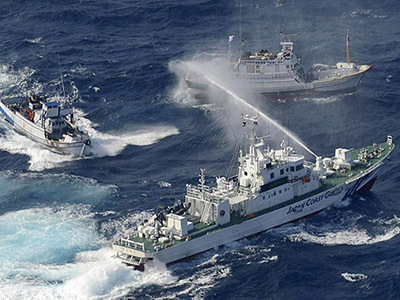 Chinese government ships have entered Japanese-controlled waters on multiple occasions in recent months, prompting regular standoffs with the Japanese coast guard. 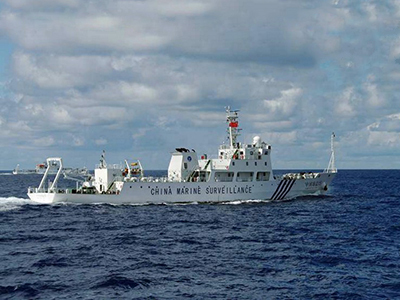 On Tuesday Japan summoned China’s ambassador to Tokyo to protest an incursion by 4 Chinese maritime surveillance ships, allegedly occurring Monday. 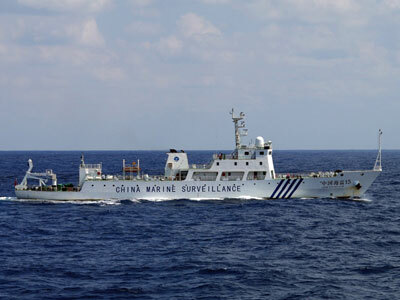 China remained undaunted, with Reuters quoting the Communist Party chief of China's marine surveillance corps, Sun Shuxian, as saying “Japan has continued to ignore our warnings that their vessels and aircraft have infringed our sovereignty." 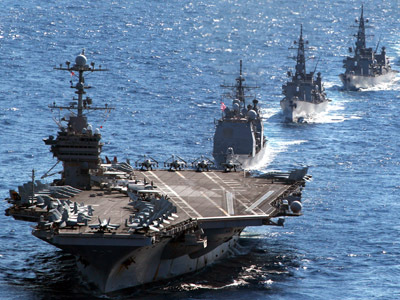 "This behavior may result in the further escalation of the situation at sea and has prompted China to pay great attention and vigilance."